Live Edge River Table | Woodworking How-To - Wood Working Co. 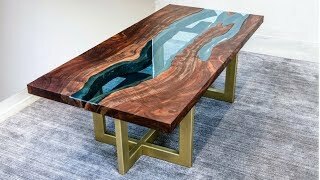 In this video I build A live edge river table with the most insane piece of walnut I have ever seen. I walk you through how I did it. Check it out! That is by far, the most beautiful table I’ve ever seen. Well done fella’s, thanks for sharing ! Woow… How did you cut the glass??? A perfect combination of great skill, artistry, science, and nature. The end product is simply exquisite! Why didn’t you use epoxy resin instead of the glass? Table top is beautiful, but the legs? Not! you should reupload without the music. It’s awesome I found this channel just before moving to PGH! I just heard from a job I’ve been working towards getting for the last 7 months and they offered me the position. I can’t wait to move up and enjoy the city. I also got into woodworking recently and can’t wait to learn more once I have my own place to work on. fair play very nice how much was it??? that table looks like a piece of art, it belongs in a museum! great build, well done, congrats! Hm, pěkný, ale u nás by mě takový stůl přišel bez započítání práce tak na 50 000 kč (1 850 eur) jen za materiál. Pryskyřice v takovémm množství je u nás neskutečně drahá. Too much music. Way too much. Great, video brother. That thing turned out completely amazing. As gorgeous at it is, and I hate being "that guy", but the glass is going to break one awful day. And it’s not quite a flat surface. Nothing like a bumpy table to aggravate you. I feel like a translucent blue epoxy resin might’ve worked better to remedy those issues. Practicality aside, it’s a stunning slab of walnut and really is a beautiful showpiece. Instead of glass, I would’ve done some epoxy. If the glass breaks then it might kill a dog if they are under it. Also, it would be a nightmare replacing the glass. Where the epoxy shouldn’t have much of any problem. That table is a piece of art! Absolutely beautiful work! Im sure the glass guys were very pleased when you turned up at their shop with the stencil. Great job. I applaud your invent-fullness for not having the correct tool for the job. how long did it take you to build it ? also it blends with the chandelier above perfectly! hats off and cheers! you need to decide if you want your viewers to hear you and your comments or listen to the music – is the video to be about your work or about music? FAB tables by the way! Great video – really fantastic table. Nicely put together and great music btw! what do you use for the final coat to bring that color out? 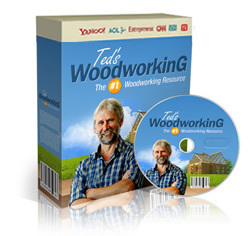 What is the product you used for the final wood coat? It’s a great finish.